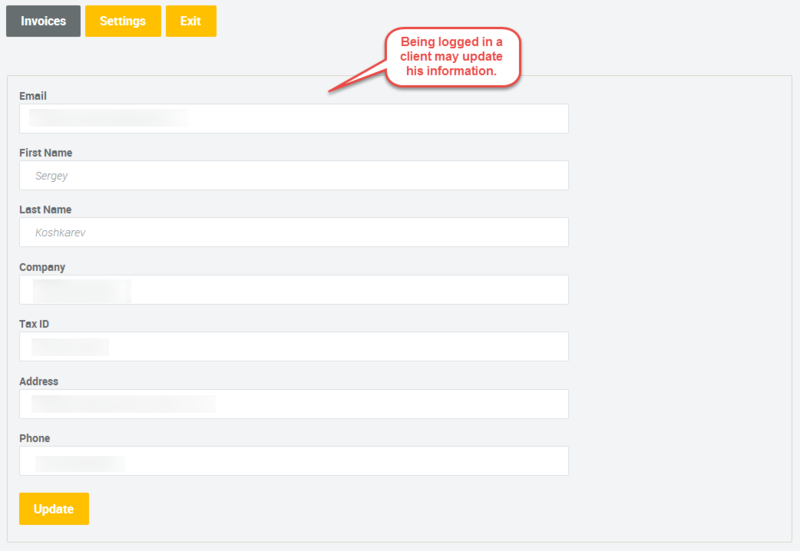 Some of you may have noticed the link For clients, which leads to some data input form. This is the electronic invoicing system, which is used for the automatic payment handling and payment generation for my clients. At a certain stage of my work it became necessary to have a centralized store for the clients' data and the means of saving the information about clients' work and payments. Having a little time but great desire and cosmic enthusiasm I have made my own CRM. I share some screenshots to show how the system works. Every client has indefinite quantity of invoices, every invoice contains indefinite amount of lines. Every line is a work performed or service provided including its description (the period and the cost). 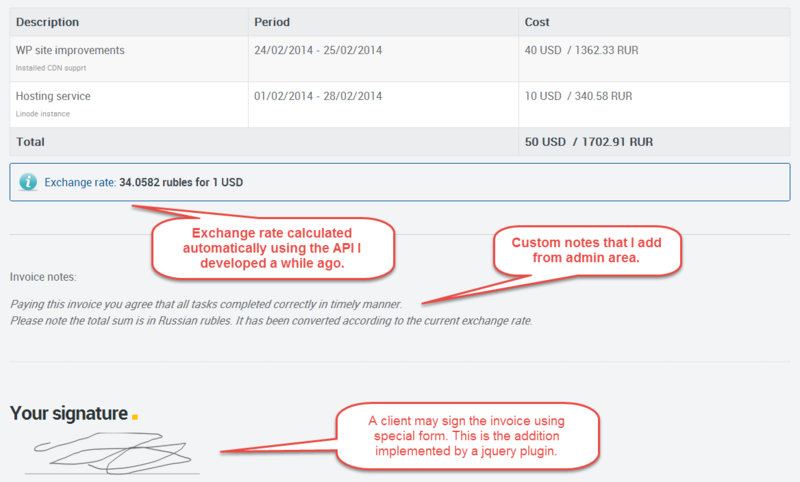 ИThe invoice can have several statuses "Draft", "Sent" and "Paid". 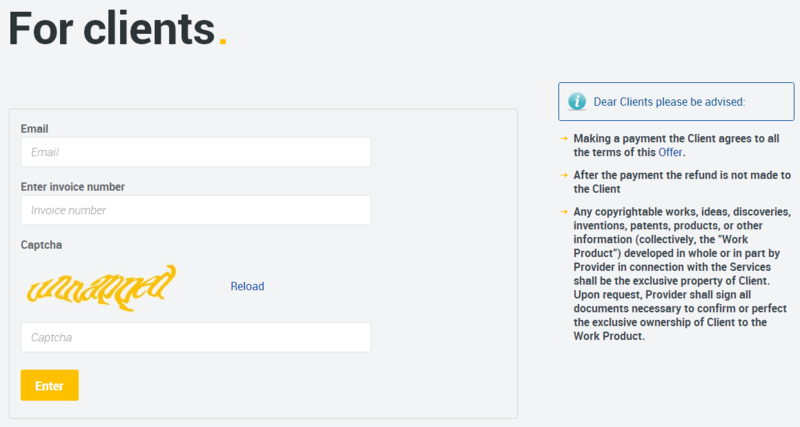 At the moment of drawing up the invoice, its status at the administration toolbar is "Draft". As soon as I finish the invoice editing it moves to "Sent" state because the client receives the e-mail notification about submitted invoice. 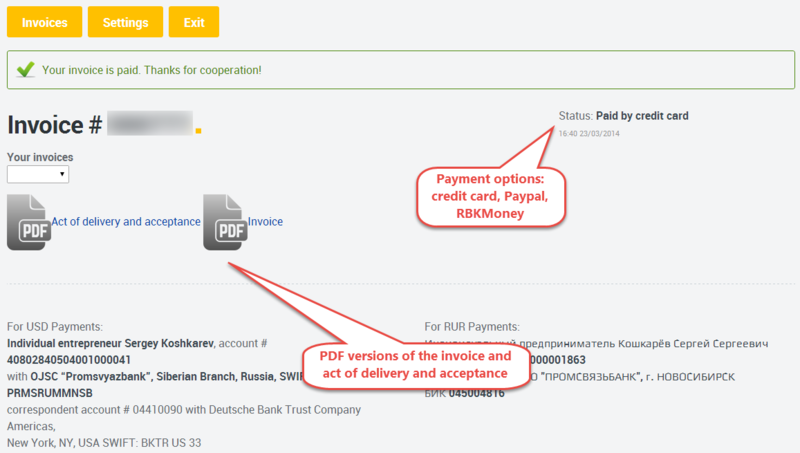 After the client has acquainted the contents of the bill, he pays the bill with preferable payment instrument (credit card, PayPal, RBKmoney or bank transfer). In that way the invoice moves to "Paid" state. Unfortunately for data security reasons I do not provide the source code or the demonstration access of this system. If you are interested in such system for your own needs you can contact me using feedback form: Contact me. Depending on definite demands and wishes such system will cost you at least USD 2000. You can leave your comments or wishes on this page using the form below.